And with Suneung, Korea’s annual college entrance exam, taking place on Thursday, BTS Suga’s recollection on Twitter of that nerve-wracking day has resurfaced across social media, which fans called as super down-to-earth. 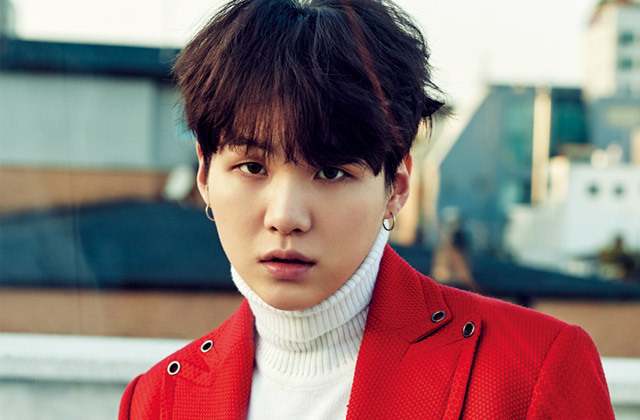 On the day of the exam, Suga recalled that he felt extremely nervous on his way to the test site while carrying a lunch box he received from his bandmates. “Time really went slow. And even I, who wasn‘t really interested in academics since I was 17, as my life revolved around the studio and workroom, felt nervous that day,” he wrote. After finishing the exam, Suga said that he couldn’t sleep that night as he felt distracted and overwhelmed with thoughts. The annual test began at 8:40 a.m. earlier on the day at 1,190 test sites in 86 districts nationwide. Stars who are taking the test are Weki Meki’s Choi Yoo-jung and Lua; DIA’s Somyi; Stray Kids’ Kim Seung-min and Hwang Hyun-jin; IZ*ONE’s Kim Chae-won; From_is9’s Lee Chae-young; Golden Child’s Choi Bo-min; The Boyz’ Sunwoo and Hwall; and Loona’s Heejin and Hyunjn.